Replay and relive your flights. 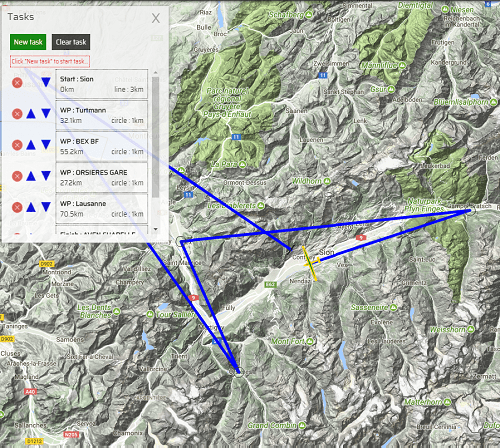 Upload your flights to the Soaringlab viewer and replay flights in your browser window. Using Google Maps for a clear 2D overview when loading multiple flights, and Cesium for their world-class 3D globe to really relive your flights. 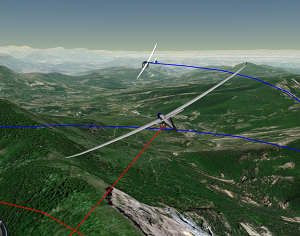 Our environment is very fast loading and can handle a lot of flights so it's perfect platform to replay glider races. Select and pin flights using the quickpicker. One of our most important goals is to keep our viewer usable on multiple devices (meaning PC, tablet and even smartphone). But when reviewing multiple flights on a small screen it is a real challenge to keep a good overview. The quickpicker allows you to select the flight you want to follow and pin others you want to keep an eye on. We deliver statistics to analyse and compare multiple flights. Average climb, speed, altitude to compare yourself to other pilots, but also because it's just great fun to analyse and relive our flights. Display barogram over selected flights and compare totals of all flights loaded. Also worth trying is our thermalizer that displays all thermals on the map. 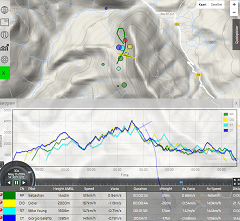 Load waypointfiles in .CUP fileformat to display these waypoints on the map. 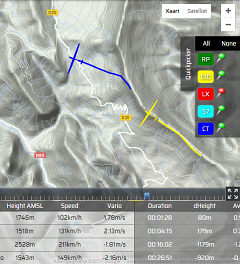 Create and edit waypoints to personalize waypointfiles. 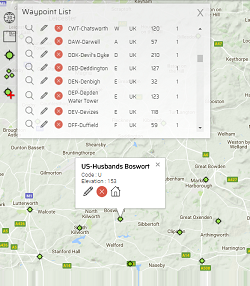 Export waypoints to load them in your navigation software. Prepare your flights by creating tasks in Soaringlab. Use OpenAIP layers to avoid most important airspace, and switch on the Blipmaps layer to make sure you don't miss those nice cumulus clouds.